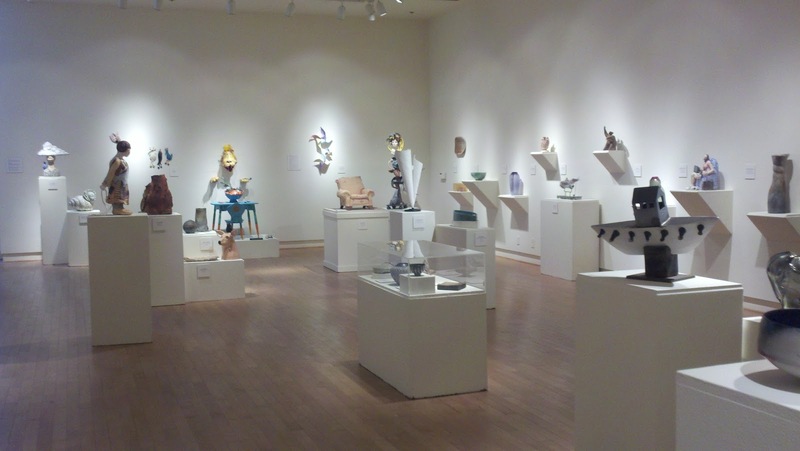 This is the last week for the Association of Ceramics and Glass Artists' exhibit at Santa Cruz Museum of Art and History. 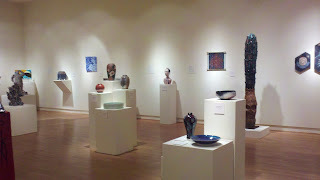 There's nothing like seeing so much clay and glass in a large gallery. It's well worth traveling to see and looking around Santa Cruz. There is a review at Linda Jensen Online blog with some good photos of the exhibit. Please check it out. She mentions Legerdemain.